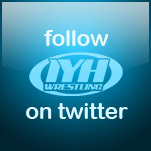 The Cuban Assassin Fidel Sierra Coming To IYH !!! Click the banner above to post your questions !!! Paul Bearer returned to IYH in this nearly 90 minute interview where we covered so many topics and most importantly had a blast. Listen to Percy talk about his days in Florida, The Freebirds, World Class Championship Wrestling, The Undertaker, Kane and his movie, Dave Meltzer, WWE Hall of Fame, WWE 24/7, his family and so much more. 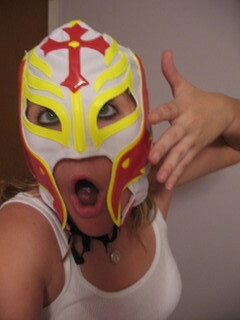 Alicia in her Rey mask she won on IYH !! Chris Jericho Live October 31st !!! Daivari Coming To IYH !!! Missy Hyatt Coming Soon To IYH !!! This week the IYH crew talked about the week in wrestling. The TNA Bound for Glory PPV, Kevin Nash as possible World Champion, The Steiner Brothers as possible tag champions, ECW and Smackdown brands merging, WWE releasing Davari and Teddy Hart and much more including the upcoming WWE Cyber Sunday PPV. We were also joined by wrestling historian Dr. Mike Lano who went over the upcoming Wrestle Fan-Fest at the Cow Palace this weekend in California. If you are in the area this weekend and would like a free ticket valued at over $300 please email Mr. Lano at WReaLano@aol.com and mention IYH. Click here to join in !!! We were joined by "The man who brought ROH to PPV" G-Funk President Ken Gelman. We went over bringing ROH to PPV, what that means for ROH, what they hope to accomplish, the struggles to get it on, the ROH style, expanding ROH to a new audience and much more. In the pre interview we went over match by match the ROH Driven PPV. In the post interview we went over WWE No Mercy, RAW, HHH, the return of HBK, TNA's 2 hour debut Impact, what John Cena means to WWE, the low RAW ratings and much much more. Special thanks to IYH regulars El Santo and the "ROH professor" Riren. 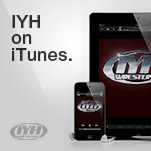 IYH Live Tonight 7:00 PM EST !!! Click for the run down of the show. Click here to chat now!!! We were joined by WWE Diva Search Finalist Taryn Terrell. We talked about the Diva Search competition, what makes her different, her passion for wrestling, her favorite divas, her athletic background and much including many call ins with her fans. In the first half of the show the IYH crew give their thoughts on RAW and the current TNA product. We continue our TNA rant in the final segment as well as talk about the recent John Cena injury and what that can mean for WWE No Mercy this weekend. 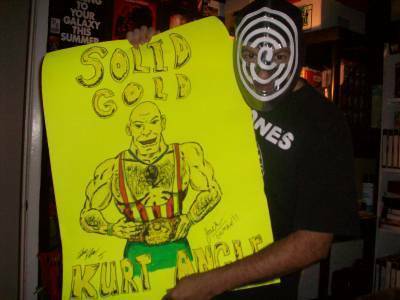 Santo showing off his Kurt Angle poster he won on IYH, hand drawn by Da Flea.